Are you an entrepreneur with a great idea for a new internet/mobile startup and need developers to build a prototype or product? 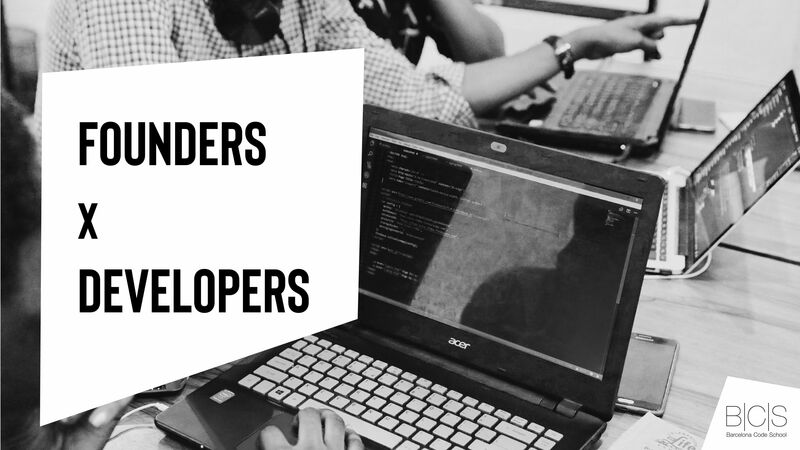 Maybe you are a developer looking for a hot startup with an amazing idea to join? If you answered “yes” to any of these two questions, this Founder x Developers matching event is for you. We want to connect both parts and have founders present their ideas, talk about their vision of how to implement it and understand what resources they might need. As a founder, you will have 3 minutes to talk about your ideas and 10 to listen to suggestions from the audience or answer all the questions they have. Meanwhile, the developers could share their opinions, help shape the vision with technical advice and maybe even join some of the best ones! Come to this informal friendly event and get connected! We start on April 17 at 19:00 at Barcelona Code School. To attend please fill out this form so we can organize the event depending on the number of founders & developers. P.S. : We provide the projector and whiteboard so you can express your ideas more visually!